If you have been convicted of a DUI in Arizona, you have probably heard the term ignition interlock device (IID). So let’s find about ignition interlock and Arizona DUI laws. Understanding how these machines work and how they come into play with DUI convictions is important to the success of your case. Arizona was one of the first states in the country that enacted the mandatory ignition interlock device installation after an individual was convicted of DUI for the first time. 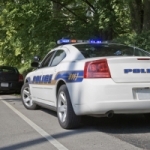 About one-third of the states in the country require the device to be installed after a first offense DUI conviction, which occurs when a driver has a blood alcohol content (BAC) of .08 or higher. Sometimes called a breath test machine, an ignition interlock device keeps a vehicle from operating after a driver has consumed alcohol. Previously, the law indicated that the convicted driver have the device installed on his or her vehicle for a year. 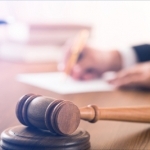 Changes to the law offer the potential of a six-month deferment of the requirement after it has been used successfully for six months. However, Arizona’s DUI laws remain some of the strictest and harshest anywhere in the United States. 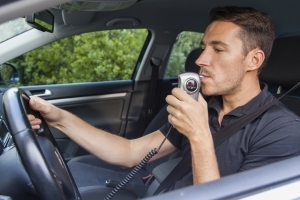 What Does the Installation of the Ignition Interlock Device For An Arizona DUI Involve? There is much more to an initial DUI conviction in Arizona than the installation of an ignition interlock device. 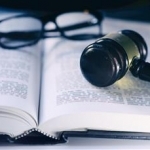 If you are convicted of DUI and must install the device, you will also be required to cover the cost of installing the device, which is about $120, and you will be required to pay the monthly maintenance fee, which is about $80 per month. The costs related to the ignition interlock device can add up fast, so you want an Arizona DUI attorney to represent you and to help make sure the device doesn’t have to stay on your vehicle any longer than it needs to be there. How Does An Ignition Interlock Device Required By Arizona DUI Law Work? The device itself is small, only slightly larger than a cellphone. It must be installed in the vehicle by being wired into the ignition of the vehicle. The technician will install it in the dashboard of the vehicle, and it is set up so the vehicle will not start until the driver has given a breath sample. To do this, the driver will exhale into the device providing a sample to be checked for alcohol. When the test is clear, the engine will start so the driver can operate the vehicle. If the driver consumed alcohol, the engine will not start. Besides the initial sample, the driver might require rolling tests, which make the driver give random breath samples while the car is in operation. If the driver doesn’t provide those required rolling samples, a warning will sound. The warning will trigger an alarm which will sound until the vehicle’s ignition is turned off. The random rolling tests were designed to reduce the chances of a driver using a friend or relative to provide a breath samples so they can get the car going. Also, it is to make sure that the driver doesn’t consume alcohol while the vehicle is in motion. As a safety measure, the machine will not shut off an engine that is already running. The breath sample is used because if the driver has consumed alcohol it will be in the driver’s breath. The alcohol will get in the bloodstream and eventually, it will reach the lungs where carbon dioxide is changed for oxygen. If alcohol is in the system, it releases in the lungs and will come out in the individual’s breath. If the BAC exceeds the level that has been pre-set, the vehicle will not start. 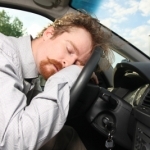 If you are facing DUI charges, talk with an Arizona DUI attorney today.